on purchases of $99 or more. 1. Select "Use PayPal" on the payment page of checkout. 2. Select "Apply for PayPal Credit" during PayPal checkout. Item ships within approximately 4 weeks. Runs on standard 115 v household current. No special wiring needed! Fire small projects in volume, or create tiles while utilizing all of the shelf space. The large firing chamber of the FireBox 14 Kiln allows you maximize your efficiency! 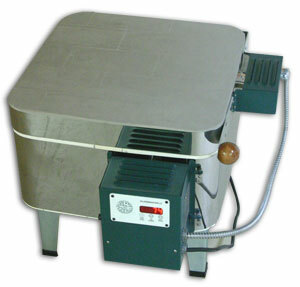 It is great for larger square slumped bowls and plates. 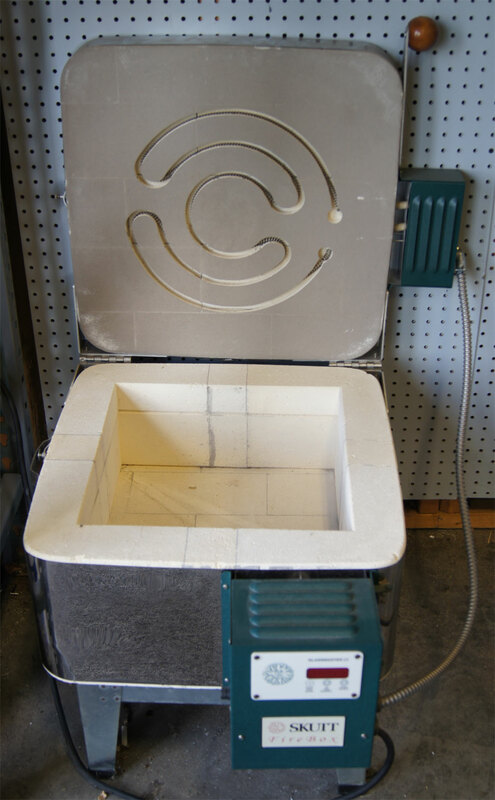 With this kiln you get the freedom of a larger firing chamber, the convenience of household wiring, and the quality of Skutt Kilns. 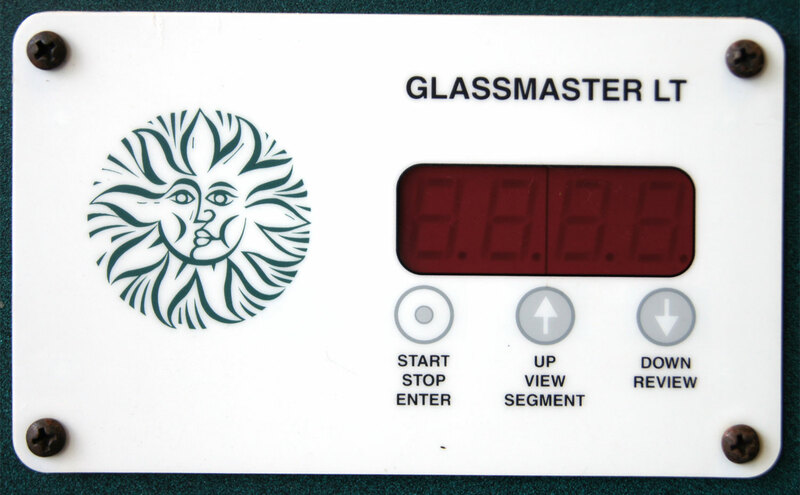 Features the GlassMaster LT digital controller for precise firings. Store up to 5 custom program containing up to 8 segments each, or enjoy the ease of 9 pre-set programs for fusing, tack fusing and slumping. Includes 8" kiln stand. 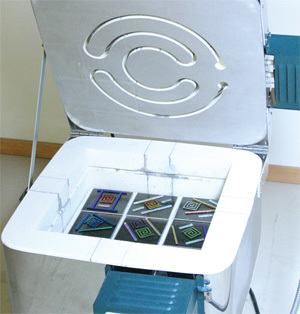 Designed for optimum firing, heating elements are securely installed in the lid. 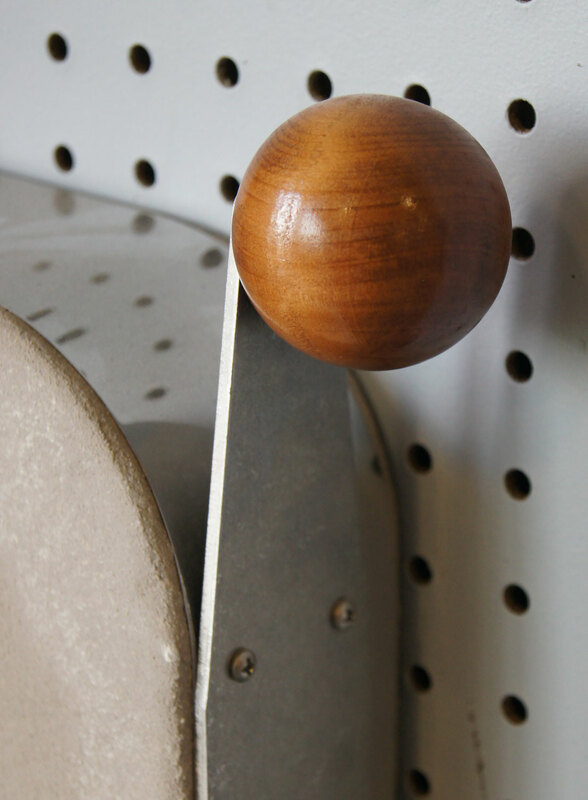 A low-mass type K thermocouple ensures accuracy and longevity. Firing chamber: 14-1/2" square x 6-1/2" deep. 115V / 15 amps. 2 year manufacturer warranty. 110 lbs. All kilns phase 1. Pickup or truck shipment only - please call for a freight quote.